The motoryoke is for moving headlights. Lamps up to a total weight of 23kg can be fitted. The PAN-moving range can be up to 370°. The speed is up to 10°/sec. 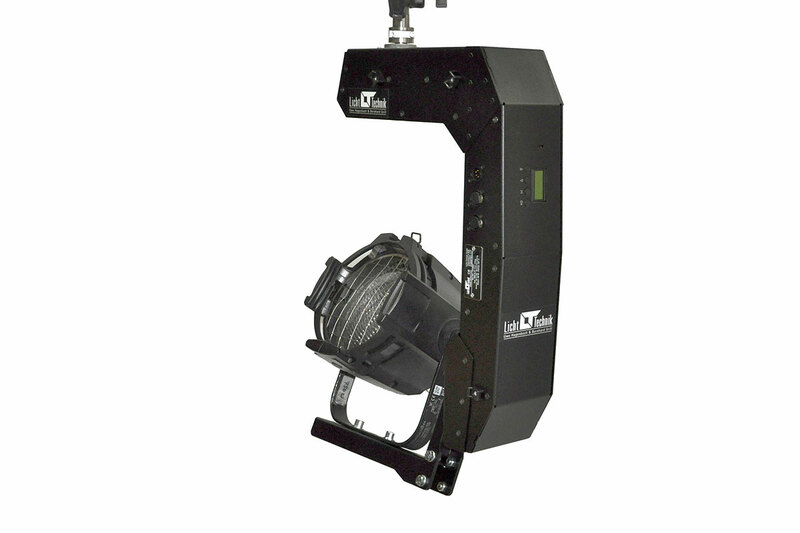 The PAN and TILT axis are are controlled by two DMX-channels (16-Bit). The yoke can control a Focus unit. A colour changer and/or dimmer-shutter or MagVader can be mounted in addition. Also the motorized barndoor is possible. 3 to max 7 DMX-channels are required (depends on accessories and set up). These are channels for start-address 1. It is possible to select a start address between 1 and 507. All other addresses follow to this first address. Example: Start-address is 32, the Focus-address is 37!